I’m a self-confessed seafoodholic, with a deep-seated passion for the life of the shallow seas around our coast. I’m all about catching, cooking, and eating responsibly-caught fish and shellfish. I have a particular weakness for lobster! I grew up in a coastal community and spent much of my youth crewing for an inshore fishermen on the Suffolk coast, longlining and potting. I’m equally passionate about our UK Fishing Industry, those who operate within it and the communities they support. I’m constantly striving to improve my knowledge of seafood and how it’s caught. I firmly believe that the best way to do this is to engage with and support our fishermen of all sectors. They, like farmers, are best placed to present the realities of their industry in intimate detail. I despair that so many “opinions” are given on the fishing industry by those who neither work within it, nor live near it. Commercial fishing is the country’s most dangerous peacetime occupation and its proponents deserve respect and admiration, not vilification and constant criticism. My writing is designed to educate, enthuse, inspire and inform. 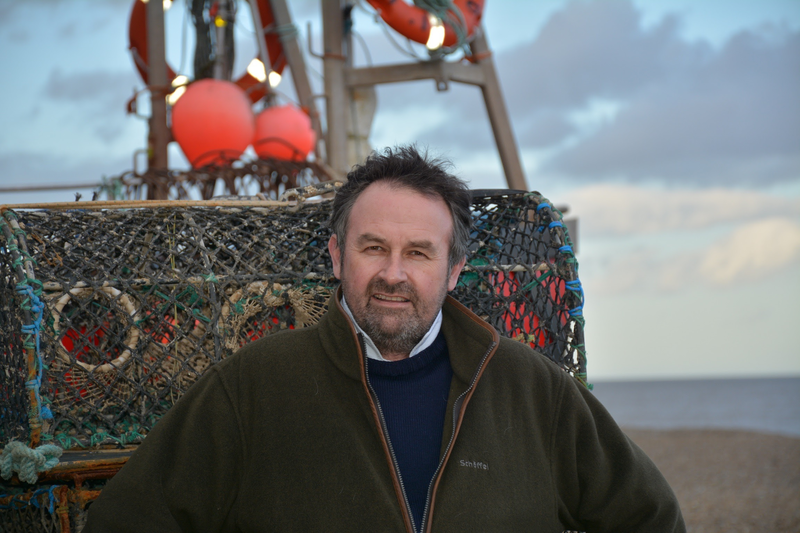 For those of you who share my love of seafood and our fisheries please do read, enjoy and feel free to comment and subscribe. I also write creative web and print copy for the seafood industry. I regularly contribute to fishonfriday.org.uk and The Skipper magazine. I consider myself very privileged to be a member of The Guild of Food Writers and had the accolade of being shortlisted for Best Food Blog at the 2016 GFW Awards. I’ve derived so much pleasure from seafood over the years, I just wish to give something back. On your websiteWe found your picture of the Deben footferry, arriving at a wooden pier. This picture would be very suitalable to use in an article we make about sailing near your beautiful coast. We are Zilt Magazine, an online digital magazine about sailing, published in Holland. It is an online magazine only, no print, and free for all to read. Would it be possible if we use your picture in this article? And if yes, what photocredits do you want us to use? This can be your name or a link to a website or both. Hi Mike, here’s my son Matts email as promised. He would love to talk food/nutrition with you.